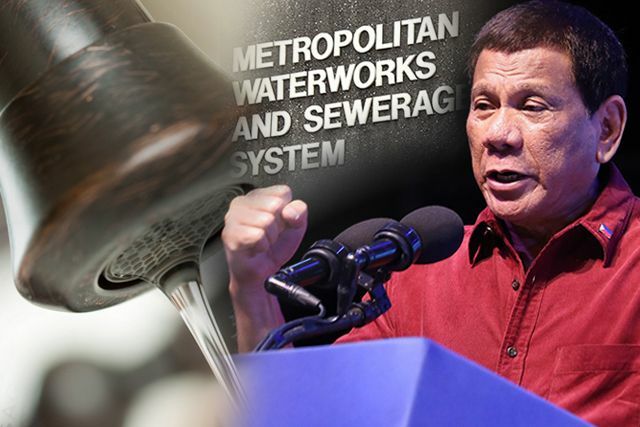 President Rodrigo Duterte on Tuesday (March 19) scolded the executives of the Metropolitan Waterworks and Sewerage System (MWSS) and the two water concessionaires Manila Water and Maynilad for “not doing their job” that resulted in a metro-wide water shortage. The meeting, which Panelo described as a ‘presidential monologue’, lasted for 40 minutes. The President ended his tirade by ordering the officials to submit a report on the water shortage before April 7. “After which he will decide whether heads will roll or whether the contracts of the concessionaires will be terminated,” Panelo concluded. For more than a week, residents of Metro Manila and Risal suffered water shortage prompting the administration to direct water authorities to release 150 days-worth of water from Angat Dam to supply affected areas. The Upper and Lower Houses of Congress conducted their respective hearings on the matter which called for penalties against Manila Water for violating the concession agreement and the resignation of concerned officials over mismanagement, incompetence and negligence.